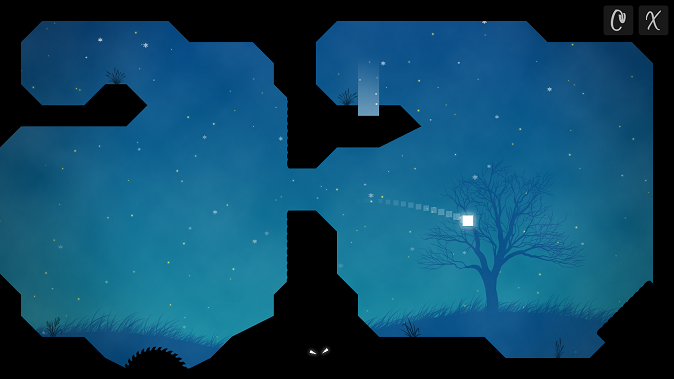 If you like physic based puzzlers, chances are you’ll enjoy Midnight. 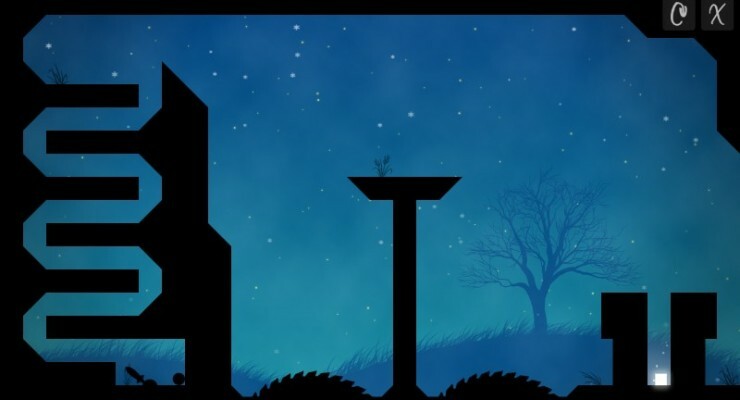 The latest release from Petite Games, Midnight is a golf-like title that has you guiding a small cube safely to an exit. 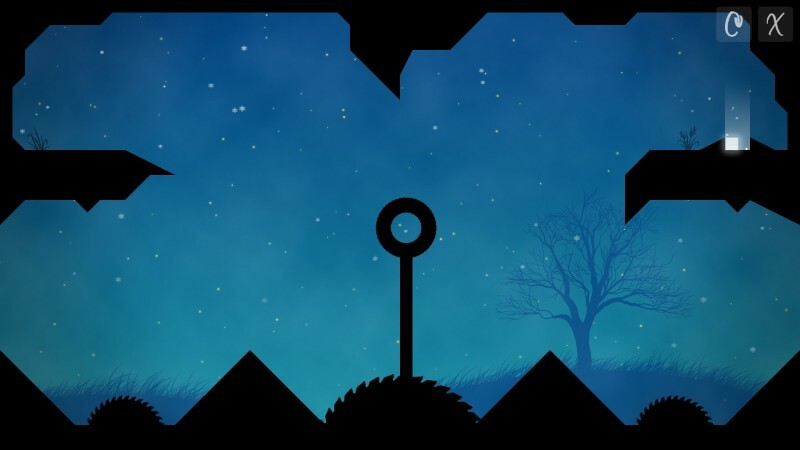 It’s a smaller game – there are 28 levels, each a single screen – but the various obstacles, and charming audio-visual package will keep you entertained. Reaching the exit is your sole objective as there are no enemies to eliminate, items to pick up, time limits, etc. There are a few puzzles, but it’s mostly straightforward. Some might worry this makes the game limited, but the less is more approach works. At just $1.99 the content is more than reasonable. 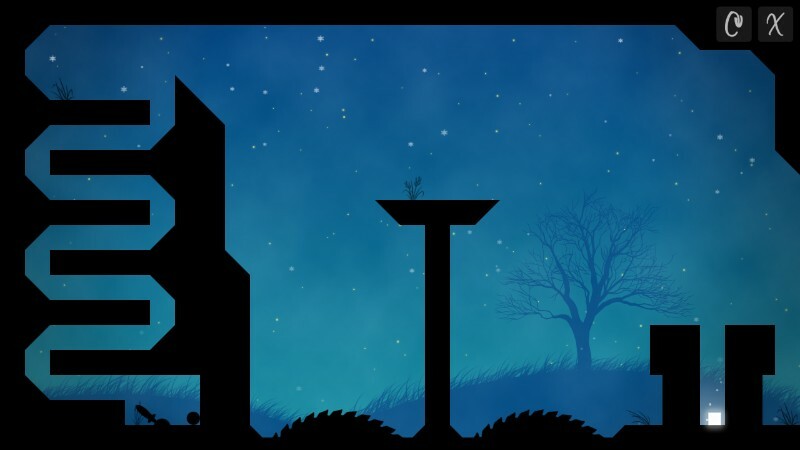 The level designs still offer plenty to challenge you. 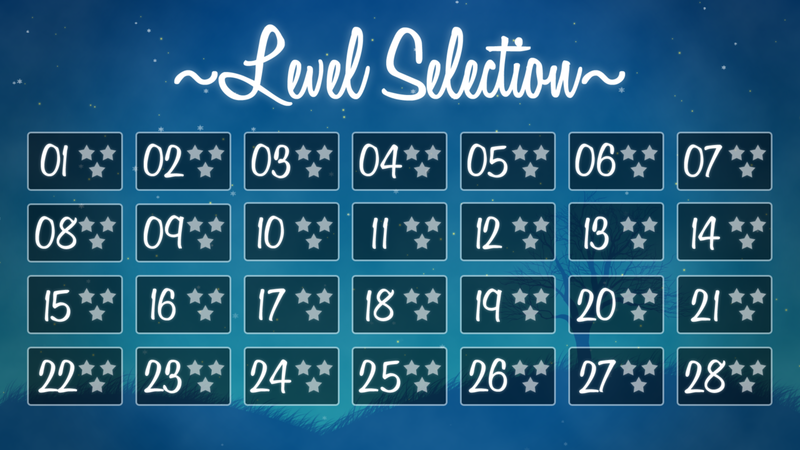 Earn up to 3 stars in each of the 28 levels. 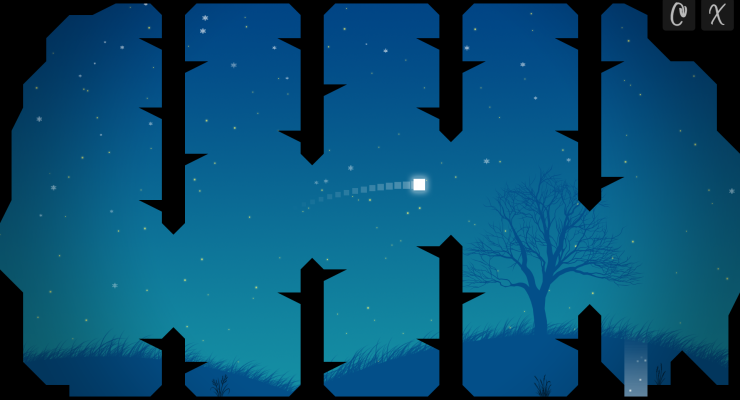 A switch puzzle level, with some destructive blades. Midnight is a rather pleasant looking title. The aesthetics are reminiscent of one of my favorite 3DS eShop games, Night Sky (perhaps too much so) but at least it’s a fine game to imitate graphically. Despite the visuals being quite good however, the background never changes. The same color, imagery, and snow fall animation remain throughout each stage. A mild attempt at diversity could have definitely elevated the look even more. The same principle applies to the audio. The relaxing music is nice to listen to and helps lessen frustration, but it gets repetitive. 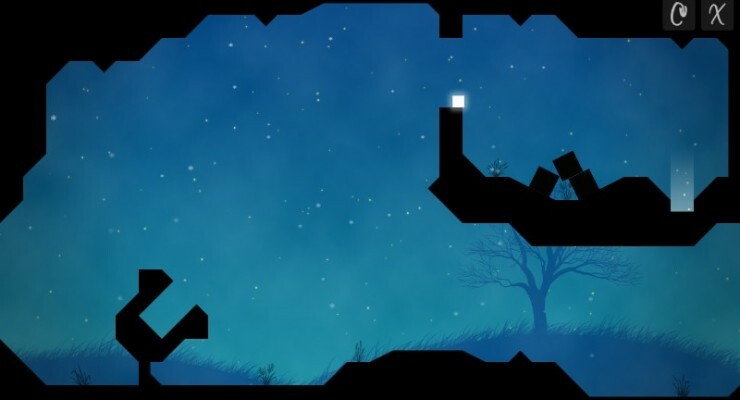 The level failing sounds can also be a bit jarring. Control is intuitive, yet it will take time to get proficient. Expect a lot of trial and error gameplay. The aiming mechanic actually reminds me of the recent eShop gem Ping 1.5+ – Midnight’s control scheme is more limited, but the game isn’t nearly as demanding. It’s primarily concerned with landing properly to line up for your next shot. The first couple of levels are gentle, and while it’s not easy to master you’ll definitely get a handle on it. I only encountered one level where hit detection appeared to be off (and one other that had a glitch) but this just indicates a need for more polish and not control problems. This level has hit detection issues. The three star system is used for replayability, but it’s a shame there’s no achievements – I would have loved recognition for my holes in one! 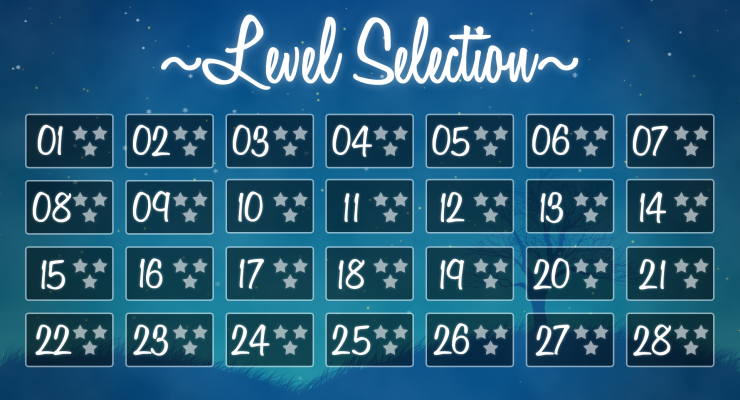 It’s fun chasing stars for most levels, but otherwise there’s no real incentives to return. It’s worth noting too that the game is linear, so you can’t skip a level and come back to it later. The replay value (or shortage thereof) is acceptable for just $1.99 game, but I hope to see some more features down the road. Perhaps an update or maybe a sequel will offer expansion. Despite some shortcomings I enjoyed my time with Midnight. I’d like to see it developed even further, as I feel there’s real potential here. Hopefully the game will get enough support to warrant such considerations. Though not without a few issues, this is a charming little game selling at a great price. Give it a download and have some fun.